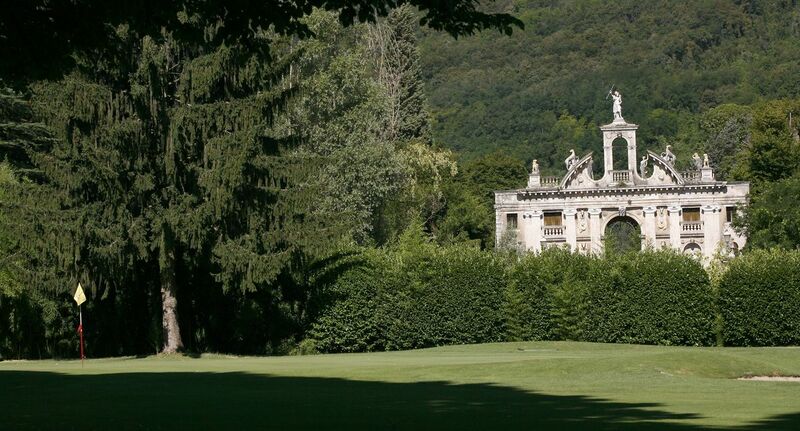 The Golf Club Padova lies in a valley at the foot of the Euganean Hills, very close to the town and just a few kilometres from Venice. The course is mostly on level ground with various water barriers; but the major difficulty is presented by the thick vegetation on either side, something blocking the view of the full length of the fairway. 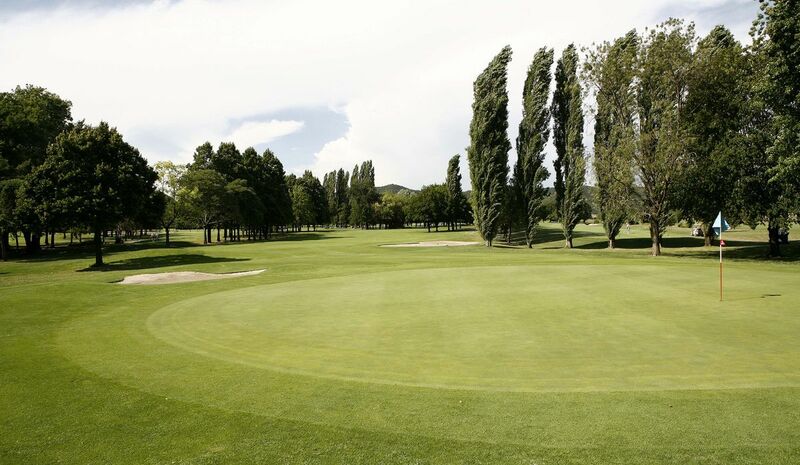 The greens are not two difficult because there is no great difference in height, except for the one at the ninth hole, but they require a delicate touch because of their smooth running and of the difficulty in judjing the best line to take.Regulars say that the course is entertaining for all levels of play.Also near the club is the spa resort of Albano with its excellent hotels, which is well-known because of the beneficial effects on rheumatic disturbances that may be obtained thanks to the hot spring water and to the mud treatment. In the central area of the Veneto plains, among lagoon, hills and Alpine foothills, lies the Province of Padua, a fascinating mixture of art, cultures, flavors and traditions. A visit to the Province is a discovery of a territory remarkably rich in history, culture, vitality and ingenuity, characterized by a great variety of places to see, products to taste, and people to meet. An inventive and hard-working people have known how to renew their traditions time and again. In the Province's heart we find Padua, dynamic and vivacious city with a vast historical and monumental heritage; it is surrounded by significant natural and cultural attractions: the Euganean Springs, the Euganean Hills, the Medieval defensive walls, castles, villas, a patchwork countryside and water flows that run east towards the Veneto Lagoon. The southeast is occupied by the Euganei Hills, a treasure chest of wonders. Green valleys and pretty hills covered in vineyards are made even more beautiful by the colors of spring, and the warm atmosphere of autumn. 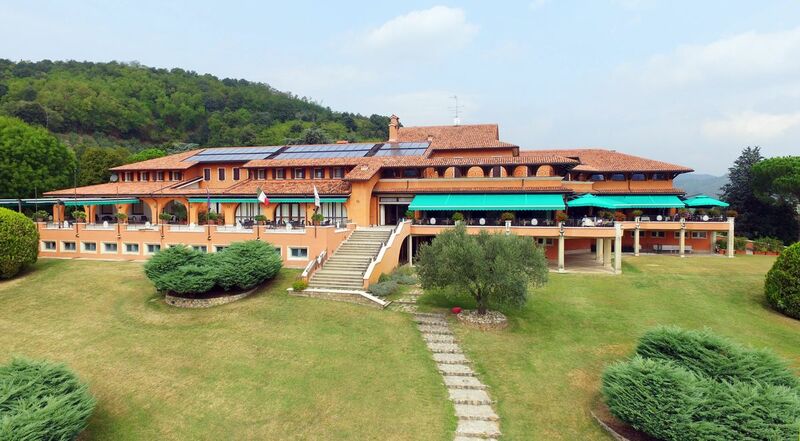 The hills enclose the largest thermal area in Europe, the Terme Euganei, internationally-renowned for their therapeutic waters, that after their long subterranean journey rise to the surface here. The principal spa centers are Abano, Montegrotto and Galzigano Terme, and they offer mudbath therapies and many of the most modern beauty and wellness treatments. The Province is also made up of a vast network of navigable waterways. Between Padua and Venice, the Brenta River makes a river cruise (burchielli) an absolutely unforgettable experience. Cruisers will feel - even briefly - akin to the lords and aristocrats of Venice that used these boats to reach their summer residences - simple buildings that they had transformed into magnificent works of architecture, with the help of brilliant artists such as Palladio, Preti and Scamozzi. Summertime tours on the canals circling Padua offer unique occasions to see the city from a different perspective. Otherwise, experiencing this terrain on a bicycle, exploring the network of paths, particularly along rivers and streams, is also an excellent choice: try the bike track in Padua or on the Euganean Riviera, or a romantic itinerary on the banks of the Battaglia Canal, with its lovely villas and scenic shortcuts through the Hills. A tour of the fortified cities is an intriguing way to get to know Padua’s long Medieval history. Cittadella, Este, Monselice and Montagnana are ideal for living the past, via commemorative re-enactments in period costumes, and the palios and jousts that animate these ancient villages every year. The area's millenary history also shows up in the local arts of good cuisine and fine wine. Here, the origins of viticulture are ancient; at the same time, cultivation techniques have been perfected over time. The high-quality whites and reds of today are the fruits of such meticulous and time-tested labor.